Could you have an opportunity to learn the skills and techniques to take people on an awesome outdoor adventure? Could you make a difference in your community and the lives of people around you? Can you become a leader? With Outdoor Youth ConnectionTM (OYC)! OYC connects youth with their peers, their community, the great outdoors, and their own leadership potential. The California State Parks - Office of Community Involvement and the California State Parks Foundation collaboration provides ongoing opportunities for highly structured, powerful introductions to outdoor experiences for California's most disadvantaged youth. This collaborative effort combiners resources to unlock the potential for young people to become catalysts for change in their communities. This is accomplished through the Outdoor Youth ConnectionTM (OYC) which provides a comprehensive approach for reconnecting urban youth to the outdoors in a way that brings the benefits full circle back to their lives and communities. At Outdoor Youth Connection, our main goal is to empower the youth to access the outdoors and unlock their leadership potential! 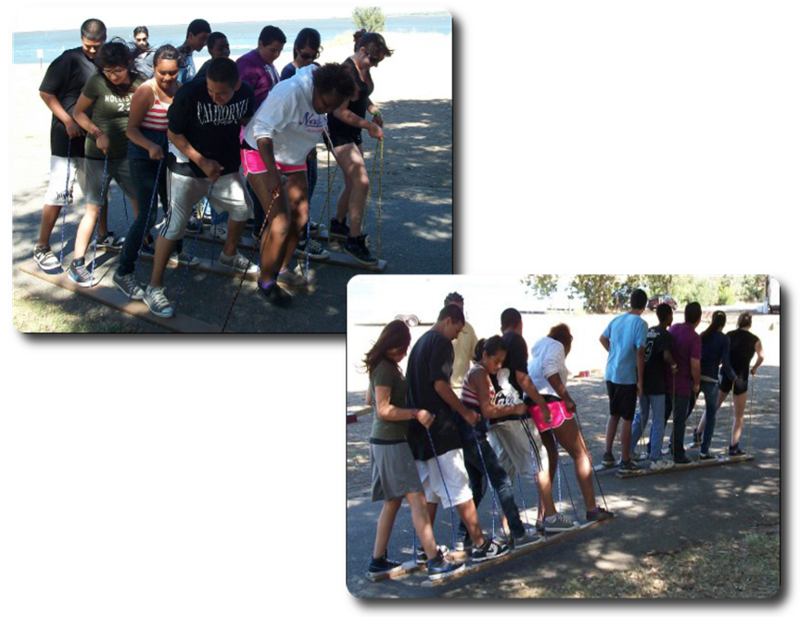 A three-day leadership training for youth ages 13 to 17 in outdoor activities, team building and leadership skills while camping at a California State Park. The youth will then use the experience and skills learned to organize a minimum of 2 events for their peers: PLAN, PREPARE, & LEAD a recreational outing & a public service project. "My greatest accomplishment was not just camping out, but talking with everyone, being open minded, and listening to people from all over California." "I gained more confidence in following through and successfully accomplishing an adventure." "It was one of the most fun things I've ever done!"